Time saving– it takes just 5 minutes from start to end. Authentic –dark intense colour and meaty taste. Contains Wheat Gluten, Soybean & products of these and Sulphite (=/> 10 mg/kg). • Add 100gms of Knorr Demi Glace in 1 Litre of lukewarm water. 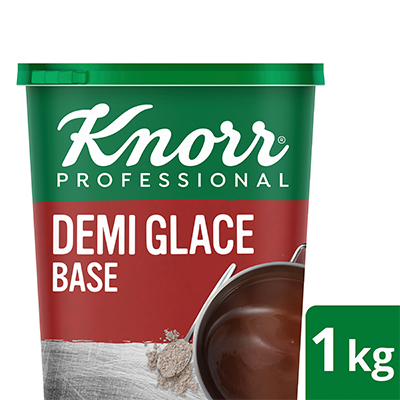 Knorr Demi Glace is one of the most flavourful ways to enrich your sauces for meat. Another fantastic application is to dilute the sauce and use as braising liquid for maximum flavour.